The National Institute for the Study of Dutch Slavery and its Legacy (NiNsee) invites you to participate in a two day International Symposium on June 29 & 30, 2010 in Amsterdam entitled: Public History and Collective Memory: Representation of Slavery Museums, Memorials and Monuments in the 21st Century. The planned symposium is designed to interrogate the meaning and significance of public history and collective memory in relation to the Trans Atlantic slave trade and slavery. 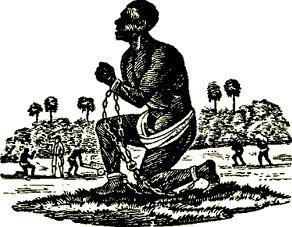 The objectives for the planned symposium are three-fold; First, to bring together scholars of slavery to interrogate and discuss the meaning and significance of public history and collective memory in relation to Trans Atlantic slavery. Second, to bring together experts to share experiences with and knowledge of slavery museums, memorials and monuments. Third, to use the knowledge gained from this symposium as background information for the commemoration of the 10 year anniversary of the slavery monument in the Netherlands. This paper considers the mobilization by African Diasporic communities in the United States and Europe, to remember, commemorate and protest slavery and its legacy. This mobilization is placed in the context of broader protest and/or commemorative movements (such as the Holocaust, the Alamo, Japanese internment as well as other incidents of (inter-)national shame or guilt. In the paper I raise a series of questions concerning the role of academics, community mobilization, migration, and museums, all in the context of unequal access to resources (financial, political, and cultural) in struggles for collective representations. And for the legacy of slavery in particular, I make the case for serious consideration to be given to alternative sources of knowledge and insights as we draw on the voices and visions of Black men and women who have been historically marginalized. This paper reflects on the way the concepts of ‘slave’ and ‘trade’ have been used in the study of the Trans-Atlantic Slave Trade and Slavery. There seems to be a disjuncture between the concepts of slave and trade and the empirical basis for those concepts. The concept of slave suggests that slaves were traded; we will argue that the empirical bases hereof are weak. The concept of trade is also based on collaboration theory. Here also we will argue that the empirical bases hereof are weak. This paper will introduce and discuss the first ‛Middle Passages’ International Teachers Institute. The institute was held in Ghana in August 2009 and brought together teachers from the United Kingdom, Ghana and the United States with leading slave trade historians and education specialists. The aim of the institute was to bring together, and reflect on, the different ways in which the slave trade is taught in each of the three countries from which our teachers came. This paper will discuss Lubaina Himid’s satirical performance piece. What are Monuments For … Possible Landmarks on the Urban Map (2009). In this she manipulates a glossy guide book to the world cities of London and Paris to imagine what might have been if the contributions of African diasporan peoples to the capitals had been fully taken on board in the memorial landscape over the last three centuries. Theme: Inclusion of voices (African, Caribbean) who have been traditionally absent from the discussion on commemoration, representation, and teaching in the realm of slavery and the Trans-Atlantic slave trade. This paper examines the steps taken by Black French to organize the abolition of slavery in France. Aspects of the situation in the French Caribbean will also be included. How does this commemoration inform the current situation of Blacks in the French Republic today? Special attention will be paid to the meaning and limits of this event. In the normative Dutch discourse on the integration of immigrants in Dutch society, good (cultural) citizenship is linked to affinity with the national history of the Netherlands. 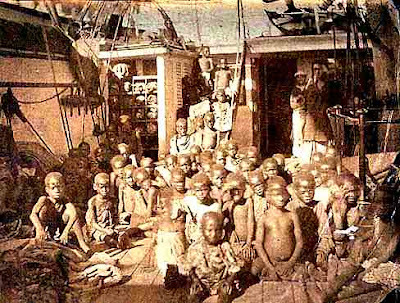 The Dutch history of slave trade, slavery and abolition is acknowledged as part of this national history. However, as far as this acknowledgement also integrates (part of) the history of Dutch people of Surinamese descent into the history of the Netherlands, this historical inclusion creates new detachments in the present as well. Is there a continuity with respect to the notion of cultural citizenship, between colonial Surinamese society and current public representations of a shared migration past in the Netherlands? What could be the value of historicizing this notion of cultural citizenship? This will be the leading question in this paper that will focus on legacies of slavery and indentured labour. Three key stakeholders can be indentified with regard to the preservation of heritage in general and intangible heritage in particular, i.e. the source community itself, local and national authorities, and (heritage) professionals. In the Netherlands, the debate on intangible heritage is rather recent. The UNESCO Convention of 2003 has stimulated discussion among professionals, but in a limited sense. The last few years, however, the topic has been addressed by politicians and as a consequence, intangible heritage became subject of a public debate. Much more than tangible heritage, intangible heritage became the focus point of a national debate on identity. This political instrumentalisation of (intangible) heritage by appropriation and rejection, introducing the dichotomy between ‘us’ and ‘them’ is clearly illustrated by the speech delivered by the Dutch politician Rita Verdonk in 2008. Is the memory of slavery still not perceived as an intrinsic part of Dutch society? What is the role of the heritage professional and the source community in this? Do on the one hand, professionals create meaning and visibility, but on the other hand, however, does professional involvement not tend to exclude source communities from the process of signification and appropriation? This event has been organised by the National Institute for the Study of the Dutch Slavery and its Legacy (NiNsee) in collaboration with the Vrije Universiteit.